A packed lunch is an obvious way to save money - and in some of the remoter areas you may well not find anywhere to eat so it may be the only option. 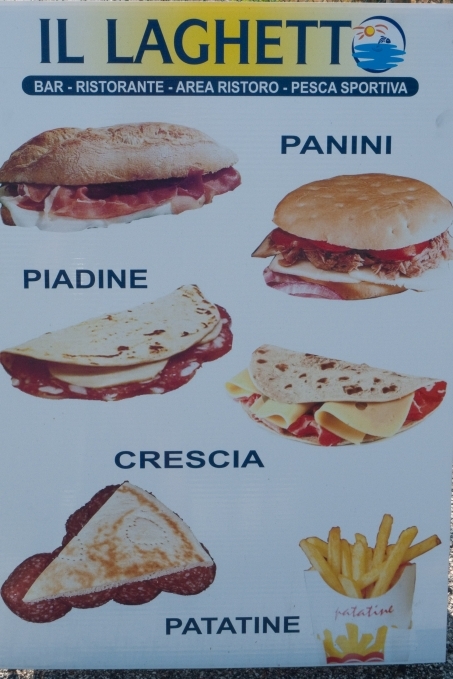 You can often buy panini in bars, bakeries and pastic­cerias. Deli counters in grocers’ shops will also often be happy to make one for you. A panino is usually made with bread roll (panino or ciabatta), but it can also mean a sandwich made with slices of bread cut from a loaf. 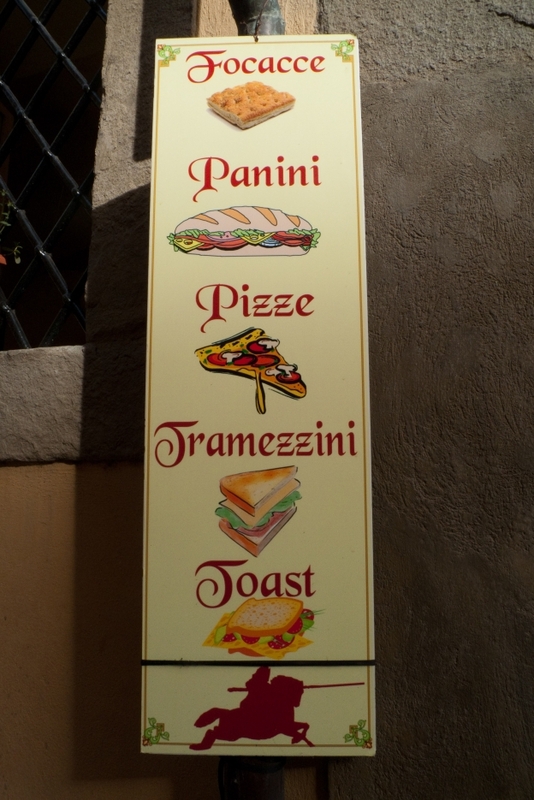 Some bars also have tramezzini which are daintier sandwiches with the crusts cut off - these are good for a mid-morning snack. There are also lots of variations on the theme such as piadini - sandwiches made with flat unleavened bread. This comes from the Romagna region in north east Italy. An then there's a toast - a toasted sandwich. formaggio (cheese) - again this can be piccante or morbido. Different varieties range from pecorino to mozzarella. If you're in southern and central Italy then look out for porchetta - a small pig spit-roasted with herbs. It's generally eaten in a panino. No it's defin­itely not a low-fat altern­ative, but it's absolutely delicious and an Italian insti­tution. Some bakeries (panifici) sell pizza rossa and pizza bianca - pizza rossa is pizza with just tomato and bianca is pizza with nothing at all. In some places you can also buy focaccia this is foccacia bread with different types of topping - ie possibly the origin of the deep-base pizza. This can be a really good, and cheap, lunch - you can get it from some bakeries, foccacerias' and delicatessen counters. In the south you may come across deep-fried pizza - calzone that have been deep fried. Actually surpris­ingly good. In the south, and in Sicilia, also look out for arancione and supplice. Arancione (literally big oranges) are big rice balls made with tomato, rice and mozzarella and look, suppli are smaller versions of the same thing. In Puglia you may also come across pizzo a small spicy breadcake made with olives, onions and tomatoes - and c a little bit of pepper­oncino - chilli.